The battery, starting and charging systems are interrelated by a continual cycle of converting chemical energy to mechanical energy and then back again. The starter motor uses mechanical energy to crank the engine and once the engine is running, it’s really a merry-go-round sort of relationship. The rotation of the engine drives the alternator, forcing electrical energy (current) into a battery, where it’s stored as chemical energy. The chemical energy of the battery is then changed back to electrical energy when it supplies current to the starter motor and accessories. 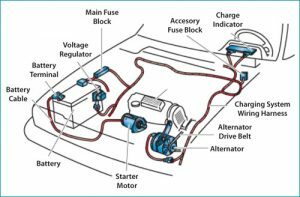 The cycle repeats itself as the engine’s mechanical energy again drives the alternator to recharge the battery so it can supply more current to the starter when needed. The purpose of the battery is to supply the necessary current to the starter motor and the ignition system while cranking to start the engine. It also supplies additional current when the demand is higher than the alternator can supply and acts as an electrical reservoir. The automotive battery, sometimes known as a lead-acid storage battery, is an electrochemical device that produces voltage and delivers current to start the vehicle. When the automobile is running the battery electrochemical action is reversed, recharging the battery, giving it many years of service. 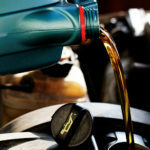 By having regular battery and starting / charging system checks every six months, you can identify many potential problems before a failure occurs. 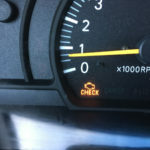 During this test your technician should check battery condition, connections and alternator output. It is also important to regularly inspect the condition of the alternator drive belt and replace if necessary. An alternator drive belt that is slipping can damage the battery. Without a properly functioning battery and charging system, your vehicle’s performance will be affected. Most modern vehicles are outfitted with computer controlled fuel delivery, ignition systems, transmissions, sensors and microprocessors that require a steady supply of controlled electricity to function properly. The starter motor is a powerful electric motor, with a small gear (pinion) attached to the end. When activated, the gear meshes with a larger gear (ring), which is attached to the engine. The starter motor the engine over to start the engine. When the engine starts to spin faster than the starter, the starter automatically disengages. 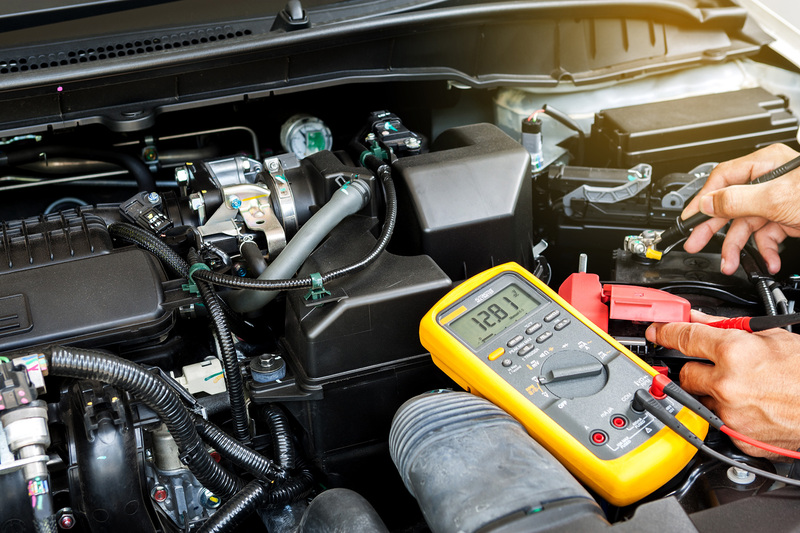 If the battery in your car is bad or near the end of its useful life, the alternator may not supply the required amount of alternating current (AC) to keep the vehicle operating properly. If any other components in the charging system are malfunctioning, the entire system will suffer from poor performance or system failure. Batteries almost never fail at a good time. To prolong battery life, battery, terminals and cable ends should be kept clean and free from corrosion. The battery and starting/charging system should be periodically tested for proper performance. Many testers utilized today are able to predict when a battery is near the end of its useful life.